Last week we told you that Amazon had launched a Kindle App for Macs, and was working on a version for the Apple [AAPL] iPad. 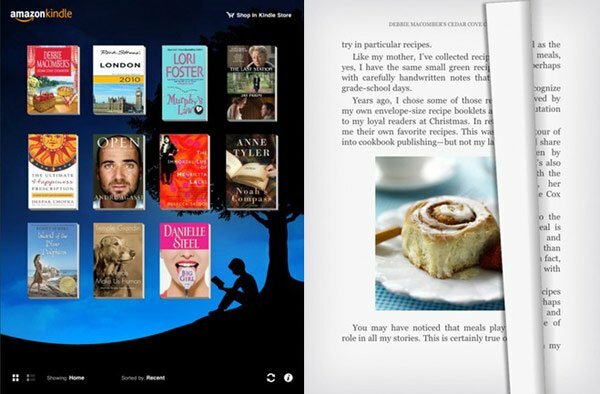 Amazon has now announced the launch of the Kindle App for the iPad and other tablets. The Amazon Kindle Application for the iPad and tablet PCs is designed to work in the same way that other Kindle applications work, you will be able to sync it with your PC or Mac and you iPhone versions of the app. From the looks of the photo it has an interesting design, and it certainly looks a lot better than the books that appear on Amazon’s own ebook reader the Kindle, I wonder how long it will be before they release a color version of the kindle. It looks like it has a feature where you can buy books from Amazon from within the application, although this is not clear whether this will take you to the browser to make your purchase. It will be interesting to see what the application is like on the iPad and if it will effect Apple’s own ebook reader sales from iBooks.